Scour protection and steel repair works were undertaken to the 3 span existing substructure of Cluny Viaduct in Kirkcaldy. The project is situated within the Cluny Clays outdoor activity centre on the outskirts of Kirkcaldy and involved the implementation of scour protection measures to the existing substructure of Cluny Viaduct. There was also masonry repairs to the existing sandstone and considerable replacement and protection of reinforcing steel to the barrel arches. The first stage of permanent works construction was to install the temporary works and excavate half of the river bed, with the other half being occupied by the 2No 900mm pipes. To keep water levels further down, 2No 6” water pumps were used, with silt protection measure of silt socks in place for discharge. A depth of approximately 600mm of river bed was removed, with a quantity stockpiled on site for placing following rock armour installation. Following the completion of the excavation works rock armour was placed in 2No layers of circa 250mm deep, with the retained bed material placed to ensure the previous habitat for fish, flora and fauna was in place. Steelwork repairs were completed in accordance with Network Rail standards. 3No ROTR possession shifts were required to prepare and paint corroded handrails over the viaduct. Due to the site’s location within Cluny Activities land, it was important for the site team build a harmonious relationship with the activity centres management. The team did this to such an extent that they were invited over on an afternoon to participate in some clay pigeon shooting. The farmer’s access road was also required to be extensively used over 1 week, due to silage being transported. Through liaison with the farm, the site team ensured no works would take place near the road during this period. 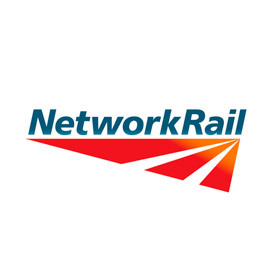 The project team coordinated with Network Rail on a weekly basis. Early engagement with key sub-contractors also allowed works to progress smoothly, in line with the contract construction programme. A polite and courteous relationship was also maintained with residents & local businesses. This looks great! Very impressed. Thank you.